Pinsa Romana (a crisp, airy Roman-style crust) and Teglia Romana (a light Roman-style pan crust) are praised for their complex flavor, easy digestibility, and ability to be sprinkled with virtually any toppings. 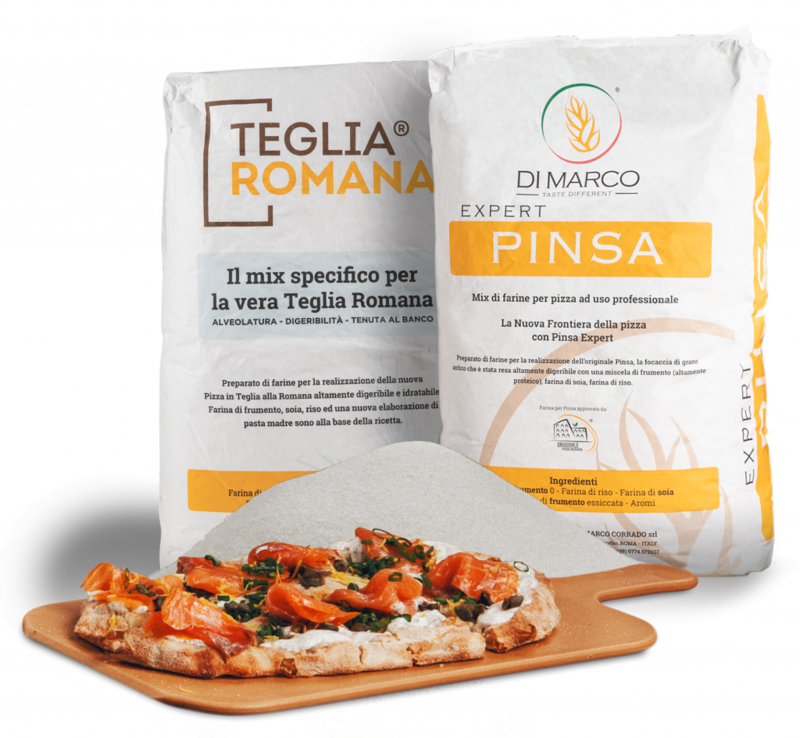 A revolutionary combination of GMO-free flour blends and over 80% water, Pinsa Romana and Teglia Romana are edging their way into the modern market. Pinsa Romana America is honored to be in an exclusive partnership with the prestigious Di Marco Foods. Led by Chef Carlo Pedone, we handcraft and deliver authentic Pinsa Romana and Teglia Romana flour blends and pre-made crusts that are rich in flavor and versatility to help chefs and restaurateurs elevate their menus. Entertaining classic to customized menu options and an endless combination of toppings, Pinsa Romana and Teglia Romana are two of the most versatile ingredients for culinary professionals worldwide and can be served as breakfast, lunch, dinner, and dessert; from fast casual to upscale dining settings. Our flour blends can also be used to make buns, breads, and other wholesome creations. To learn more about pinsa flour, crusts, or menu strategy, contact Pinsa Romana America.